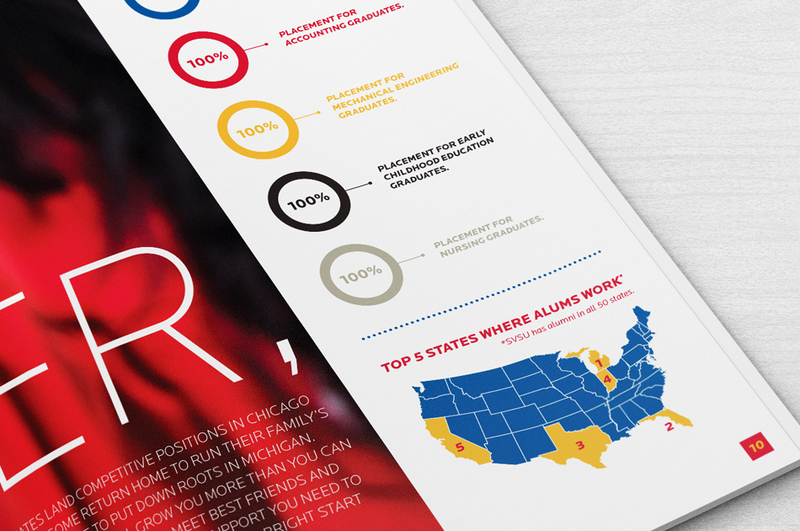 Let’s be honest: higher ed is a difficult market right now. Every institution is looking for quantifiable data for how to best connect with students and their parents: Should we use Snapchat? Is print dead? 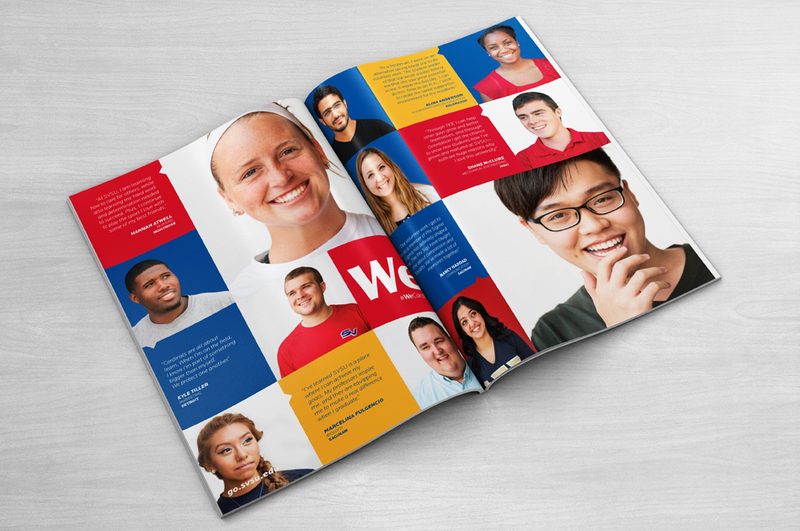 And every institution wants proof their marketing plan is strategically sound: Should we lower our admissions requirements? Is a drop in tuition a death sentence? When SVSU approached our team, they were asking the same questions. 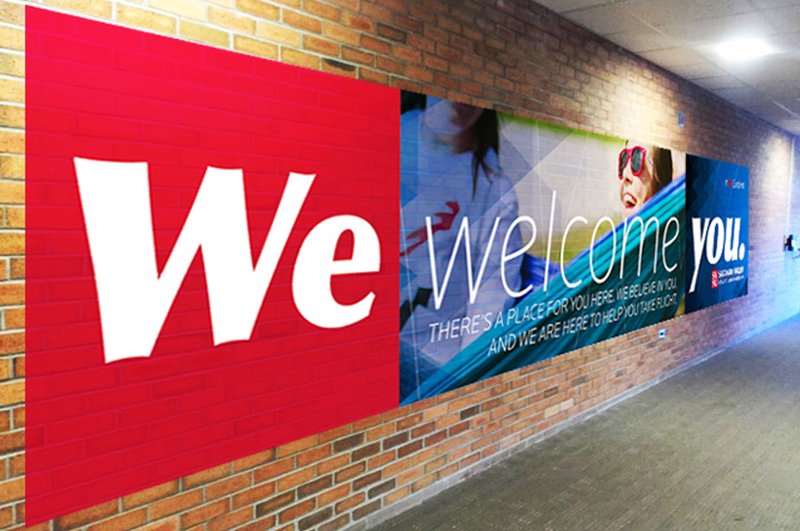 So we brought in a strategy partner, rolled up our sleeves and got to work. 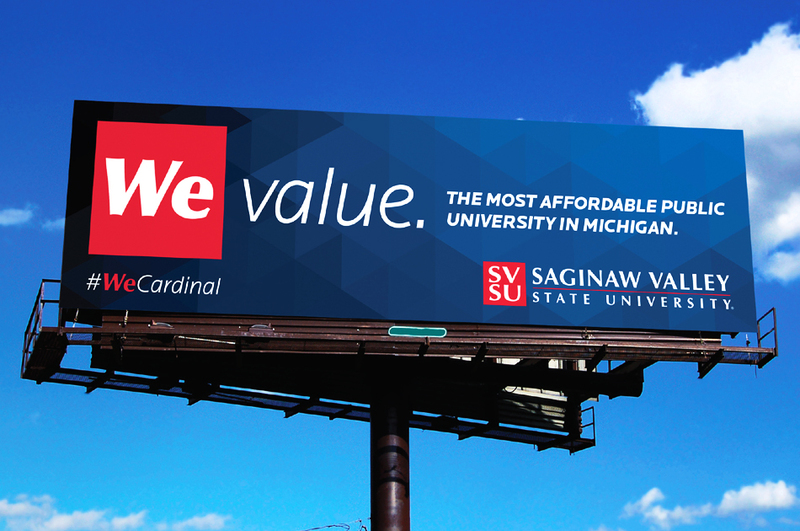 After mapping the intricacies of what made SVSU unlike any of their competitors, I was tasked with refining a message that only SVSU could own. 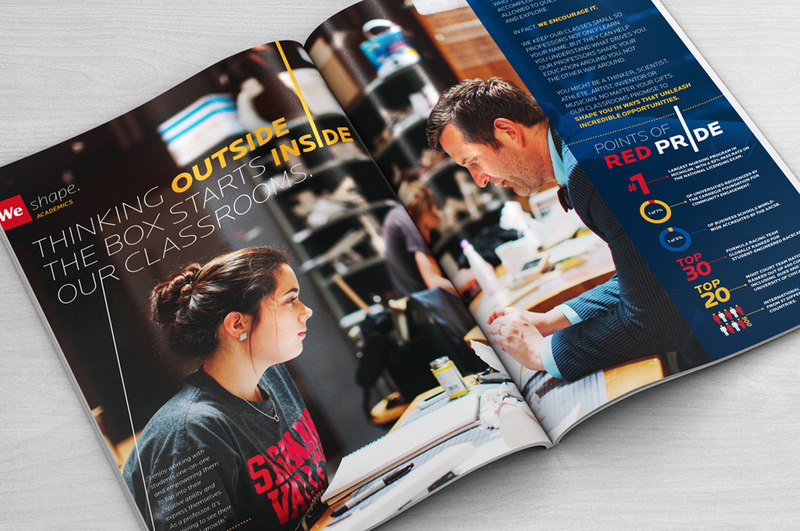 The data showed that students who picked SVSU longed to join a community—they valued success, but they wanted it paired with teamwork and personal relationship with their professors and classmates. 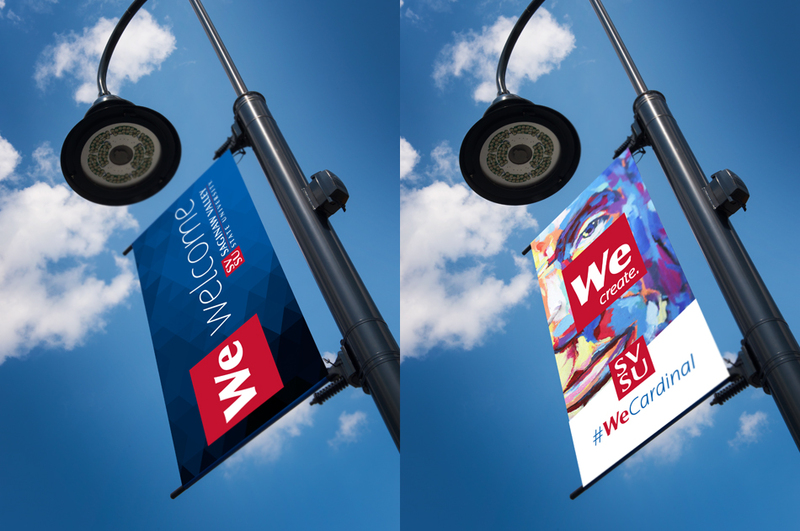 So we launched the “We” campaign across video, print, radio and social media, and we’re now turning our attention to implementing the campaign on the web. 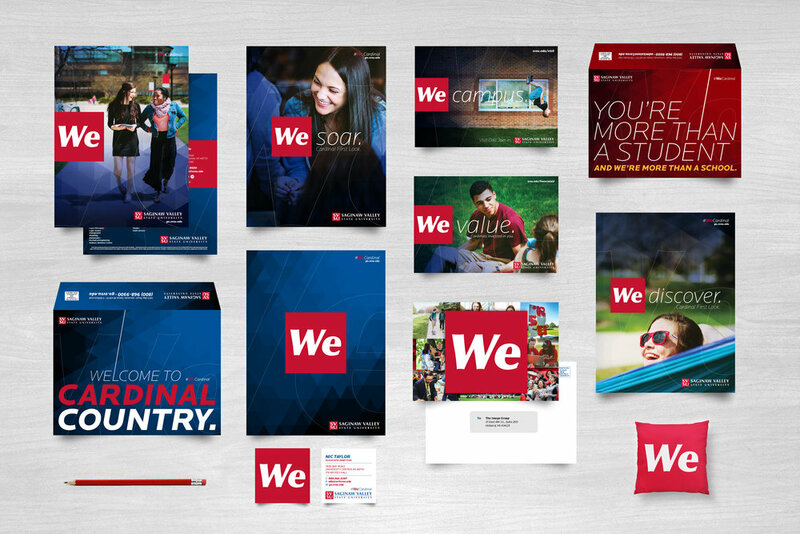 Over the last two years, I’ve worked to reestablish the brand and completely retooled the school’s admissions funnel. And the results are starting to show. 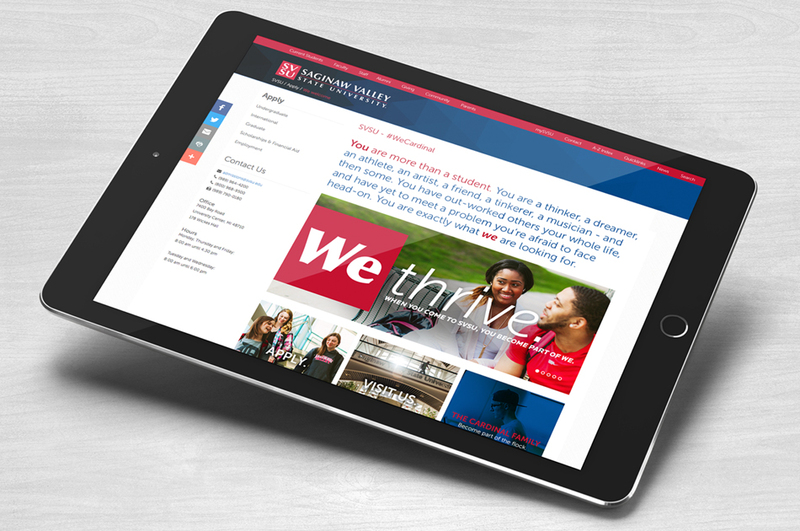 This year, SVSU broke it's all-time record for applications (7,200+) and is going to achieve over a 40% climb in enrollment from the last year. 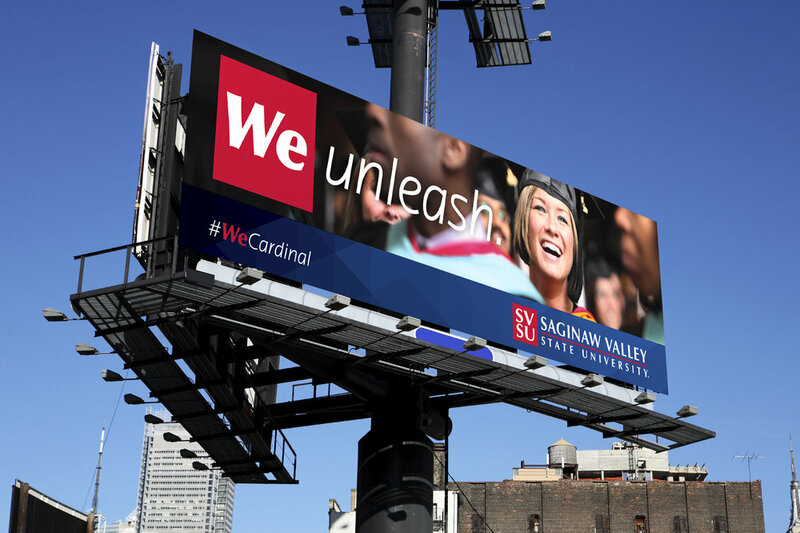 Research shows the last two years have also yielded an increase in visits, advertising recall and favorability ratings for the university at combined rates seen nowhere else in the state. 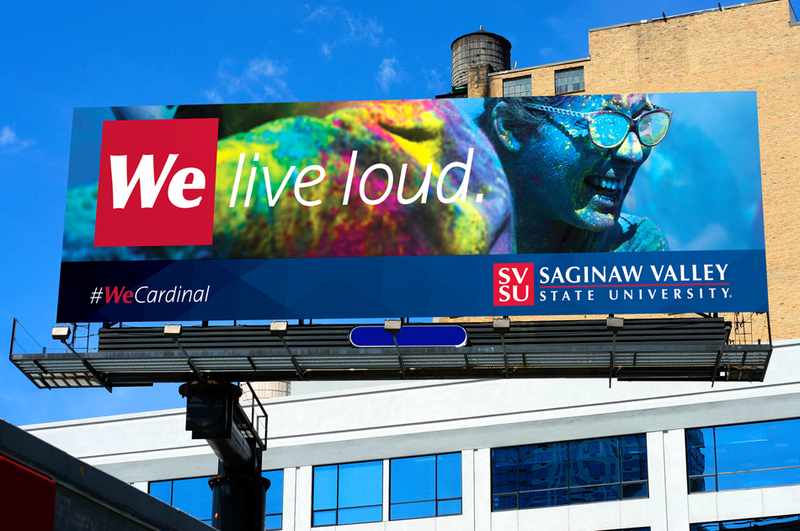 And from our perspective, that's just the start of where SVSU can go.